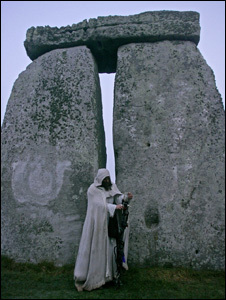 The stones have inspired many legends and folklore over the centuries. Much of the folklore seems to try and explain the origin of the circle structure as the work of giants, gods or wizards. It was probably easier to accept this than to believe that a past culture could have better technology. According to folklore African giants came and settled in Ireland many thousands of years ago, they brought with them a temple of stone from their country and re-erected it in County Kildare. The stones were renown for their healing properties especially when infused with water, known as the Giant’s Dance they still existed in Ireland long after the giants had died out as a race. 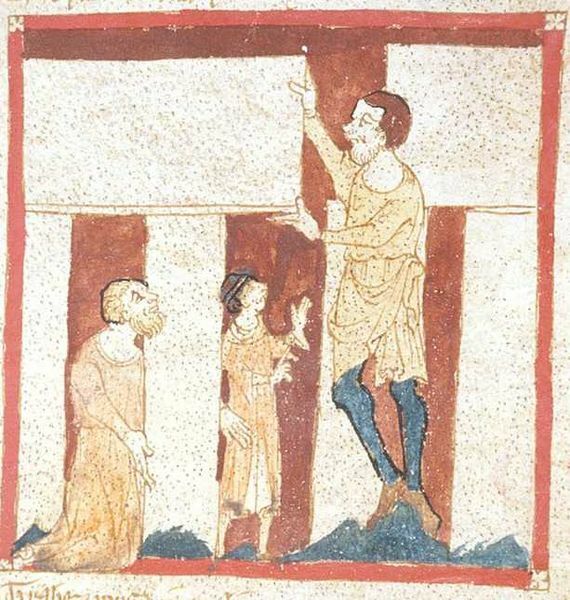 In the 5th Century Merlin brought the stones over from Ireland in ships and with the aid of magic, and erected them on Salisbury Plain. They were to mark the graves of some British nobles who were slaughtered by the invading Saxons under the command of Hengist. In times gone by it was said that the Devil had made Stonehenge, transporting all of the great stones from the heathen shores of Ireland using his magical powers. He was so proud of this work that he was want to boast about the number of stones to the local populace. In one particularly fine display of pride he bet the residents of nearby Amesbury that no one would be able to count the numerous stones. Many tried but as the Devil belived none was able to count them all accurately. A dozen different totals were arrived at. Then finally a local Friar who had come late to the game sidled up to the Devil and claimed to know the answer. Not unaturally the Devil, sure that he had won asked the Friar to give his answer. The Friar said “More than be counted”. The Devil was so cross at being caught out in the way that he picked up one of the stones and threw it at the Friar. It bounced of the Friars heel which was so hard that it dented the stone and landed upright a short distance away from the circle and so became the “Heel Stone”. Some say that the stones were a circle of dancing wizards who were turned to stone by the enchantment of another wizard.